Who doesn’t love a no-fuss kinda meal?! 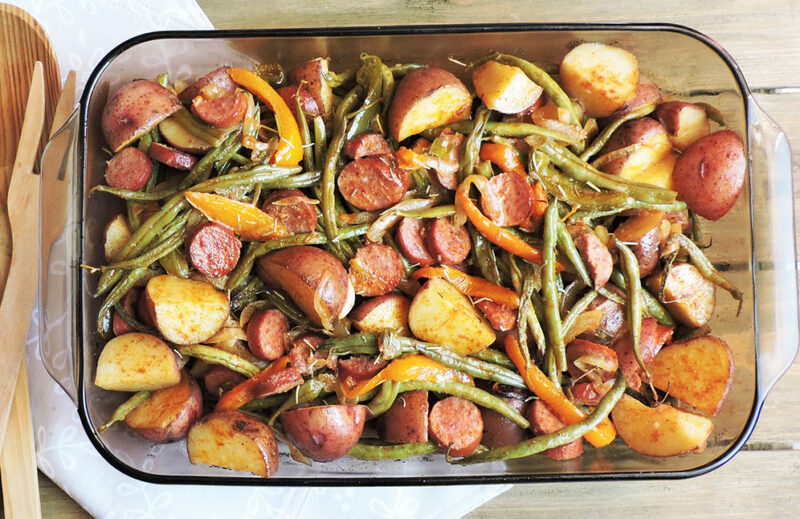 This Spicy Turkey Sausage Veggie Bake is just that! Everything bakes in one dish making it completely no-fuss and of course, very delicious too! It’s Sunday, so you know what that means?! Yes, it’s time for Meal Prep Sunday! Yayy, woohoo! As you can see, I get a little excited about meal prepping. I’m not really sure why, maybe it’s because I feel so accomplished towards the end, knowing that I’ve provided a healthy meal for my family! Being that I’m a busy, full-time working mama, I truly rely on Sundays for meal prepping. During the week, things get EXTREMELY hectic…my one year old decides to put all of his shoes in the garbage for fun, my 3 year old wants to wear his Spiderman costume to school every day….yep, this usually happens each week! Lol! By prepping meals on Sunday, it frees up my time to handle all of those other “important” issues during the week! Today’s meal prep inspiration came from me wanting something very quick and easy! I usually have about 2-3 pots going on the stove top and something in the oven, but this week I wanted a one-stop shop kinda thing, so I went grocery shopping in my fridge! Lol! 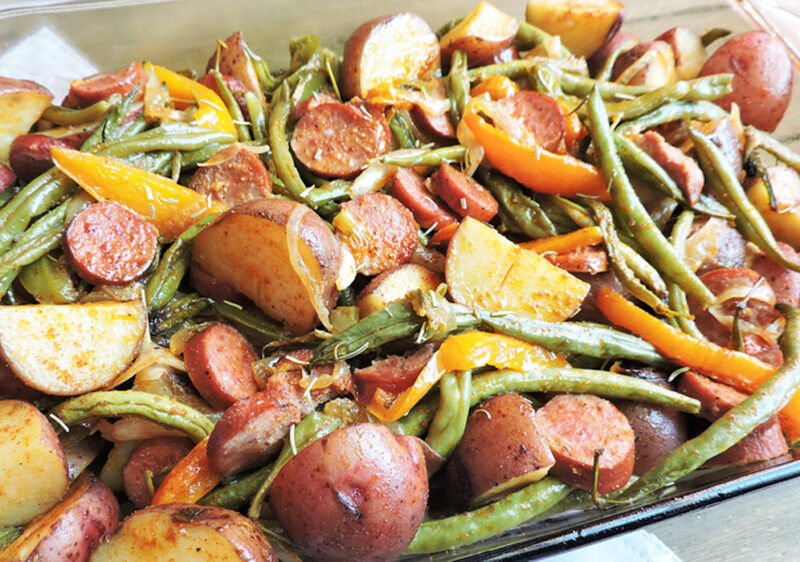 I had several bell peppers, onions, and green beans on hand so I thought about creating some type of veggie bake! 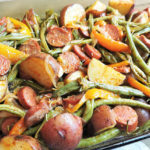 Well, I really wanted to add more substance and I really, really wanted to add some type of meat so I chose to throw in some red potatoes and turkey sausage! *Tip: When packing up my prepped meals, I ALWAYS use these containers! 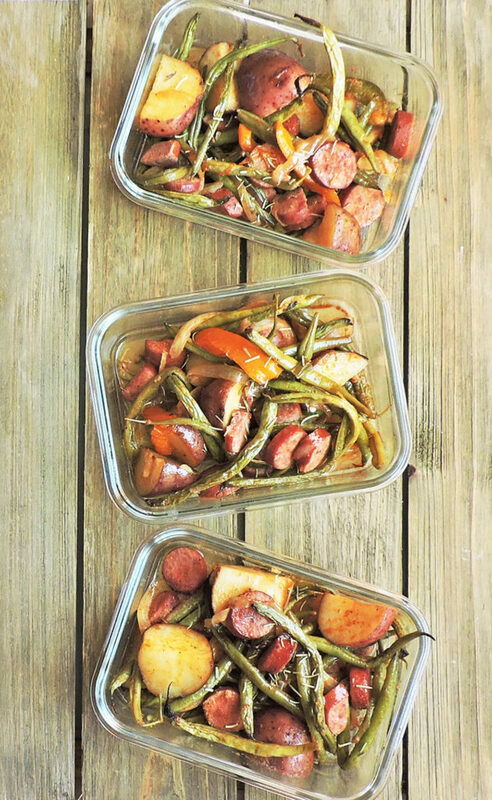 [5-Pack] Glass Meal Prep Containers – BPA-free, Microwave ). Since cutting, slicing, and/or dicing of any sort is NOT my forte, I always ask my husband to chop up the veggies and meat! I know that’s pretty sad, but I HATE cutting and chopping stuff! I usually end up cutting myself or completely butchering those poor veggies and meat. This is the reason why we own so many kitchen gadgets…we have slicers, choppers, dicers…basically anything that will do this tedious task for me! So there you have it, now you know my deep, dark secret! Lol! The instructions for this recipe are too easy! You simply cut up all of the veggies/meat, mix your marinade and add it in, toss, cover, and bake! See, too easy! Enjoy!! 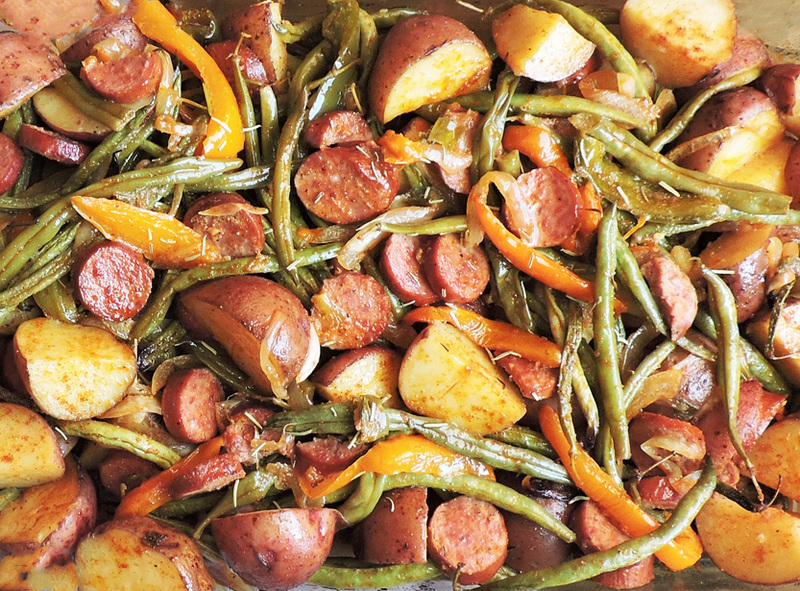 Add turkey sausage, potatoes, string beans, onion, and bell peppers to bowl. Combine until all veggies and meat are covered with olive oil mixture. Uncover and bake for an additional 10-15 minutes or until potatoes are soft.